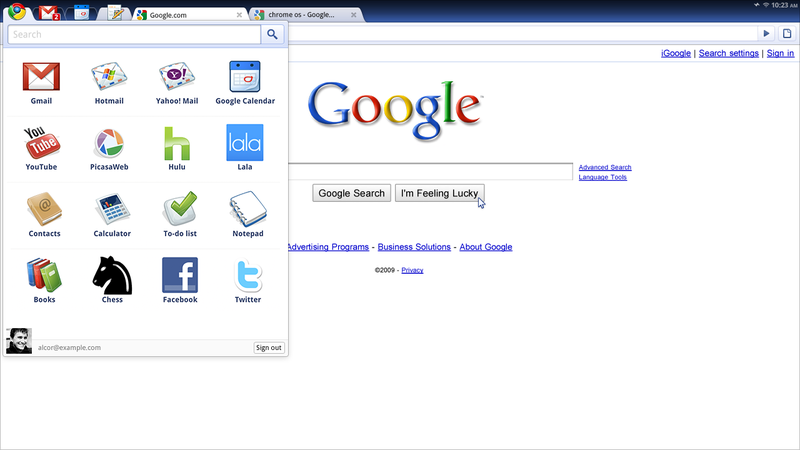 Here are the first images of the much awaited Google Chrome. Light and spartan, and it seems touch friendly. Enjoy. Click to viewIt looks very similar to what everyone imagined. I'm glad we are moving into single-window, task-oriented environments. Everything you need to know about Google here.